There are some moments in life that are just so perfect and magical that trying to replicate them can only lead to disappointment. And I confess, I feared that a “Mamma Mia!” sequel might be a tragic attempt at recapturing the magic that was the first. There was a lot to live up to — the perfect balance of fun, frenzy, and a collection of actors you’d never have imagined showing up in a jukebox Abba musical. Could they truly go again? Add a spell-binding performance from Lily James as Young Donna, plus the return of the entire original cast, and you have everything you need for the perfect summer sequel. What “Mamma Mia!” does really well is not take itself too seriously and “Mamma Mia! Here We Go Again” follows suit. 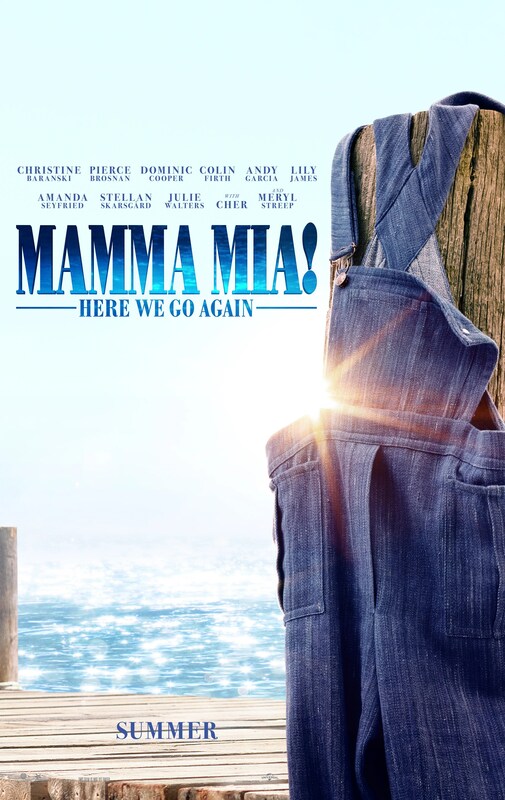 Because the thing you have to realize with “Mamma Mia!,” is that no matter what, you’re going to have fun. Accept that and enjoy the ride. So, while you could question a few plot inconsistencies or point out the fact that Cher is only three years older than Meryl Streep…but is playing her mother…I don’t know why you would. The return to the musical theater version of Greece picks up five years after the first movie, but with a twist (but no spoilers), as we get a glimpse into Donna’s adventures we heard so much about in the first film. Cue, flashbacks. The two time periods blend beautifully (for the most part) and give us a chance to marvel at the uncanny casting of Young Tanya (Jessica Keenan Wynn) and Young Rosie (Alexa Davies) whose original counterparts (Christine Baranski and Julie Walters) are just as charming and feisty as ever. And I won’t forget about the boys, all six of them who delight in both the 2000s and the late 70s. However, the heart of this story has always been the Sheridan women, Sophie (Amanda Seyfried) and Donna (Meryl Streep and Lily James, and they will continue to tug at your heartstrings no matter how many time periods we follow them through (and that’s all I’m saying about that). Is it a perfect movie? That depends on who you ask. Frankly, a “perfect” movie would not have been a service to its predecessor which thrives off of being barely organized chaos. That’s what “Mamma Mia!” is. It’s messy, yes, but that’s entirely the point. So, sit back and let the uncomplicated, fun-loving joy wash over you.